I got the bus home up GWR today and it got me thinking when I saw the building that was posted in past present (the Alpine Bikes shop). Before the motorway was built, where did GWR start and what other roads were there? With the overpass from West Graham St to GWR I can't quite work out what it was like, unless the road followed a similar route and the M8 was dug out underneath. Also, was part of the road cut off with the M8 or did it always start with the numbers around 100? Great Western Road began at Clarendon Place, which is the building containing the Alpine Bikes Shop shown in the Past Present thread. 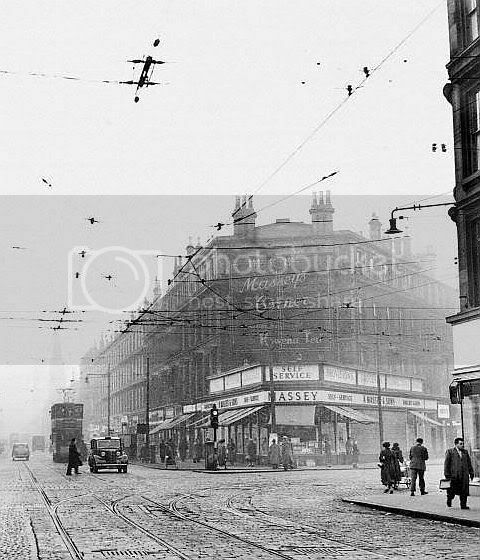 That is to say at St. George's Cross which was [and I suppose to a large extent still is] the junction of GWR, Maryhill Road, St. George's Rd. and New City Road. 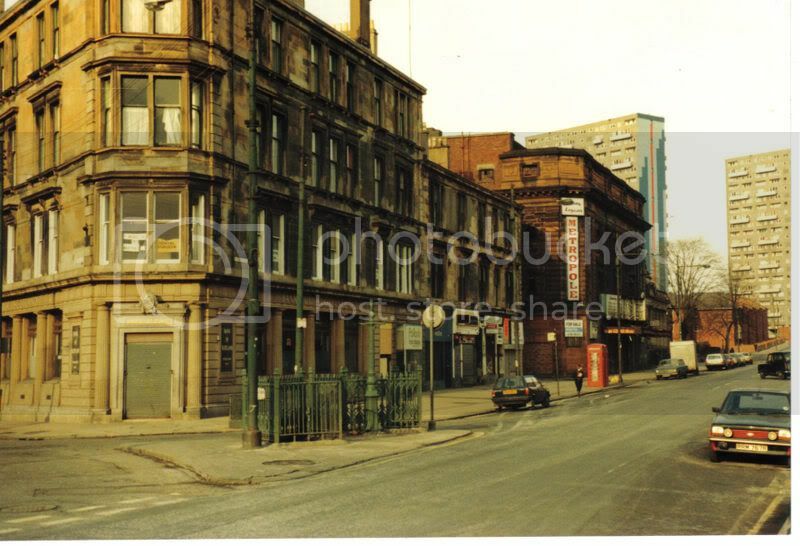 A small section of New City Road still exists and if you stand there and look west toward Botanic Gardens you will see the original vista right up Great Western Road more or less as it would have looked before the construction of the motorway. Were there buildings knocked down then, did they previously start at number 1? There is an aeriel shot of the pre-M8 St Georges Cross on the virtual Mitchell somewhere but I can't find it. Simba wrote: Were there buildings knocked down then, did they previously start at number 1? Some buildings were knocked down to make way for the West Graham St overpass etc but I really don't know anything about the numbering. 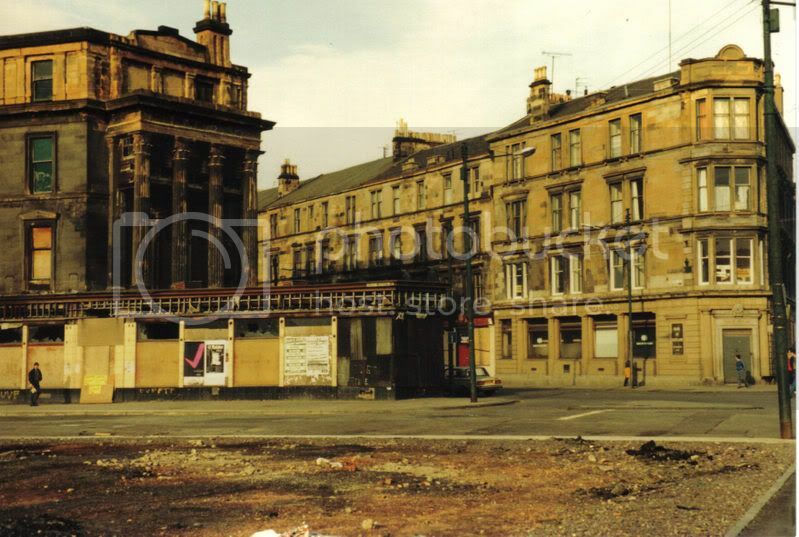 I remember seeing a picture on an HG thread somewhere which showed the St. George's Cross area before redevelopment, but this picture was posted a long time ago and I would have to try and hunt for it. The Alpine bikes building is the pink one. Thats an awesome photo^^ James. Anymore of that area? Both photos from c1987 I reckon, so slightly later than Nodrog's on Past-Present but still - obviously - pre-modernisation. Whats that structure behind the tenement at bottom right in the arial pic? HollowHorn wrote: Whats that structure behind the tenement at bottom right in the arial pic? Probably the Granville / Gem Cinema. christ, incredible to see how many tenements got whacked for the M8 to get built! How on earth did they get to do it? was it that they were all lying derelict or something ("accidental arson anyone? )? Or did they just sneakily knock them all down when everyone was at work one day? while you're looking which building was the co-op building? I keep getting told the St George statue used to be mounted on a building round about here, any ideas where exactly?